A home for local live comedy, Sherlock’s Pub was a staple within the stand up community. Not just a place to showcase your act, but also a place for comics to work on their material. Every Monday night, Sherlock’s was the most attended open mic in the city of Houston, bringing in over 45 local comedians, while also including professional comedians on tour. As sad as it is to see it close, we are here to celebrate it and everything that it brought to the Houston comedy scene. The story of Sherlock’s Pub roots back to the early 1980s. In fact, Sherlock’s Pub was not the original name for this historical comedic spot. Originally known as The Laff Stop, the venue off West Grey had been popular for the past couple of decades for thousands of comedians from all over the nation. Some of the big names included Houston legends Bill Hicks and Sam Kinison, along with Louis C.K., Daniel Tosh, Mitch Hedberg, Ralphie May, Joe Rogan, Dom Irrera, Doug Stanhope, Gabriel Iglesias, Dane Cook, and Dave Atell among many others, making The Laff Stop one of the most successful comedy clubs of the 1990s. It was considered the heart of the Texas stand up comedy scene. Unfortunately, good things come to an end. 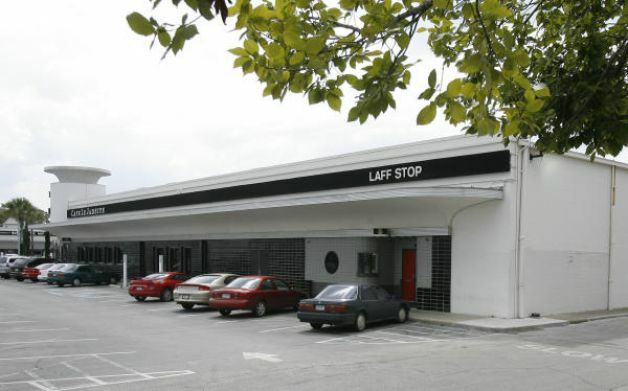 On December 19, 2009, after a 28-year run, the owners of The Laff Stop decided that it was in their best business interests to shut it all down. The last show that was seen there, featuring all local comedians, was The Whiskey Brothers’ Christmas Show, and the last person to win Houston’s Funniest Person contest at the Laff Stop was John Gard. The fall of The Laff Stop was a terrible obstacle thrown at the comedy community. The scene was in shambles. Would this be the end of the Houston comedy scene? Something had to be done. Known for her toughness, Comedienne Caroline Picard, The Cajun Queen, spoke out of inspiration: A lot of comics are either going to continue on or they’ll get a new hobby. Take a look at today’s big names. They’re the ones that kept on going. Which is exactly what the Houston comedy scene did. This entry was posted in Comedy Scene in Houston and tagged al, bahmani, comedy scene in houston, david gavri, farren, kevin, padilla, sherlocks pub, sherlocks pub west grey, steven, the laff stop. Bookmark the permalink.